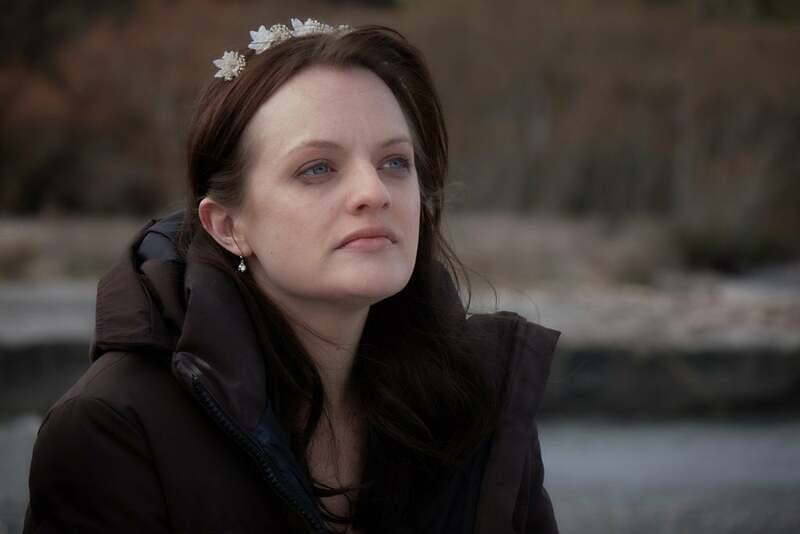 Of the three captivating projects Elisabeth Moss is best known for, Top of the Lake may actually be the most addictive, which is really saying something, considering her stellar performances in Mad Men and The Handmaid's Tale. 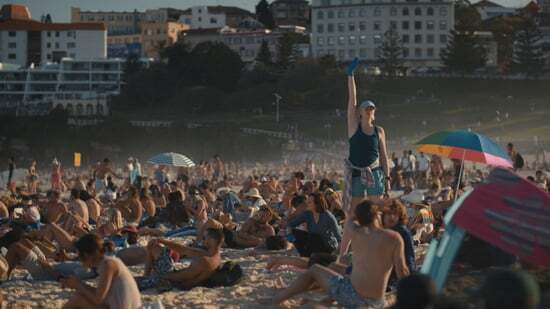 The Sundance mystery miniseries first premiered in 2013 and finally returns for a second season on Sunday, Sept. 10, this time costarring two women from equally addictive shows: Nicole Kidman, fresh off of Big Little Lies, and Gwendoline Christie of Game of Thrones fame. 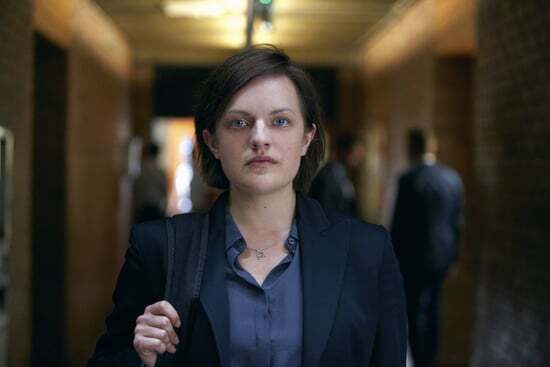 In Top of the Lake: China Girl, Elisabeth reprises her role as detective Robin Griffin, investigating a case involving an Asian prostitute whose dead body washes up on a local beach, stuffed inside a suitcase. She's aided by Miranda, a new police recruit, played by Gwendoline. We also meet Robin's 17-year-old daughter, Mary, played by Alice Englert, whom she gave up for adoption years ago and reunites with. 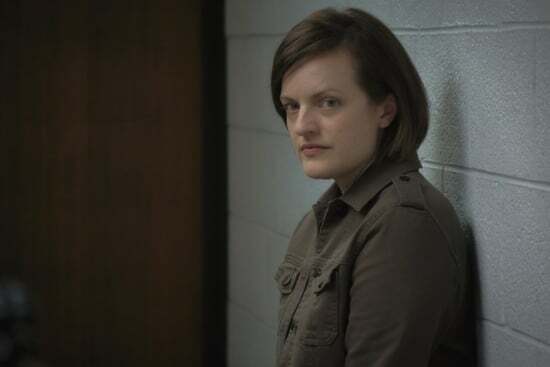 I talked to Elisabeth (Lizzie, to her friends) about what fans can expect from this month's Top of the Lake: China Girl. 1. Girl power is more prevalent in this season. In the first Top of the Lake, Robin was surrounded by men, but she's now surrounded by women: Gwen, Nicole, and Alice. "It's truly a more female story than ever. There are also the women in the brothel and the female victim who's at the center of the crime she's investigating. It's very much about female dynamics and female partnerships, friendship, the relationship between a mother and a daughter. One of the biggest things we explore is what it means to be a mother and how does someone find what kind of a mother they are when their daughter is essentially a stranger. How is she there for her daughter? How can she give her what she needs? What kind of relationship is that? All questions that I don't feel like we explore very much." 2. Game of Thrones fans will be excited to see Gwendoline Christie in a whole new light. Elisabeth says Gwendoline, who is known for her tough character as Brienne of Tarth, brings "delicate emotion and vulnerability" to her role. "She is honestly one of the most brutally intelligent and funny people you will ever meet. Acting with her is like acting with live ammo. She demands that you are completely present 100 percent of the time. I honestly don't know how I would have done China Girl without her. We became each other's lifelines." "It's truly a more female story than ever." 3. 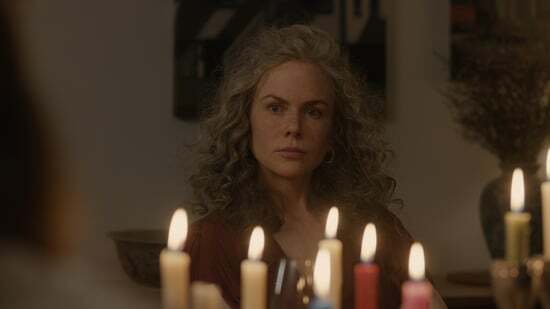 Elisabeth was flattered Nicole Kidman joined this season's cast. "I was so thrilled she was going to do it. She actually wrote to [series cocreator] Jane [Campion] and asked to be involved in it and that just immediately proved to me that she was coming at it from the right place and it was obviously also very flattering. The first thing you realize when you work with her is she's a character actress. She's a real dramatic actress. She's all of those other things — beautiful, a movie star, etc. — but she values her work above all else, and it's very striking." 4. Elisabeth was intrigued to explore her character's maternal side after playing June in The Handmaid's Tale. In this season we meet Robin's daughter, Mary, whose personal life becomes intrinsically linked with Robin's professional life. "It was really interesting spending exactly one year exploring two women who have lost their daughters in very different ways. I am not a mother (I hope to be! ), but I have a very close relationship with my mother. That bond is so incredibly unique. There seem to be invisible threads between you at all times. My mother has instincts that consistently shock me. I'm like, how do you KNOW that?! So I find it really interesting to explore two different paths — someone who had to give her child up and someone who had her child forcibly taken from her. The bond that exists there seems indestructible either way." 5. Robin's past comes into play in the second season (so watching season one will help you understand her demons). "It's been four years in between the first and second parts," Elisabeth said. "So she has lived a lot of life and it hasn't been easy for her. She's had a really rough time of it. And that's how we set her up. She starts out in a much worse place than we left her in New Zealand. It's about confronting her past in a way she never has before: head on. And she has no choice but to do it that way. She's driven by it." 6. Changing the setting from New Zealand to Sydney affects the mood of the show. While the first season's setting is isolated and hauntingly beautiful, the second season takes place in an urban setting. In the first season, Robin is searching for a missing girl in the wilderness, and this time around, she's trying to track down a suspect in a sprawling city full of millions of people. Jane, who also directs half of the episodes in season two, told Elisabeth something before they started shooting that really hit home with her: "The first six episodes are about the wilderness around [Robin]. The second six are about the wilderness within. 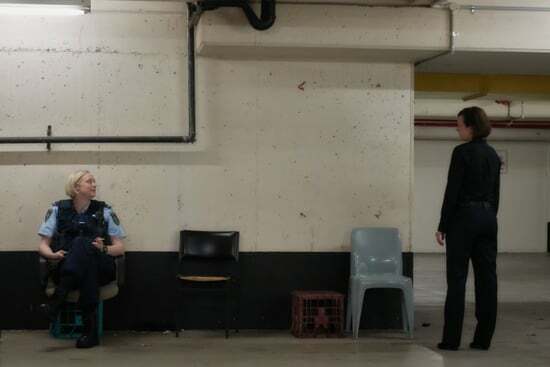 In New Zealand, it was very easy for her to be alone and to hide inside herself. Now we are in a big city where it's impossible to do that, and she's constantly confronted by that." 7. Is there happiness in Robin's future? If so, Elisabeth won't spoil it. "You gotta watch till the end."